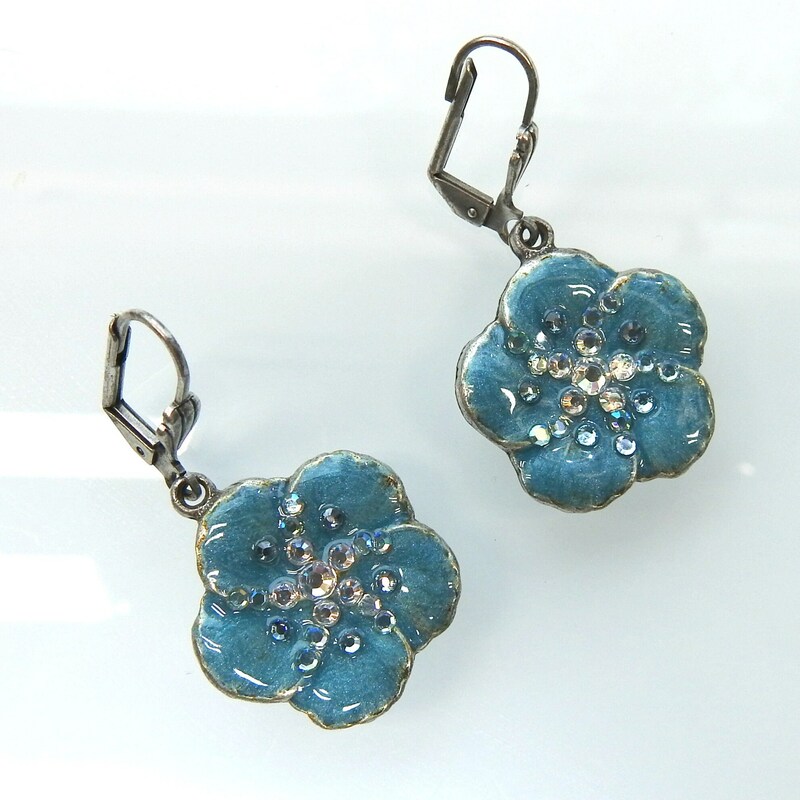 These iridescent cute women earrings add a gorgeous glow to your delicate and refined style. 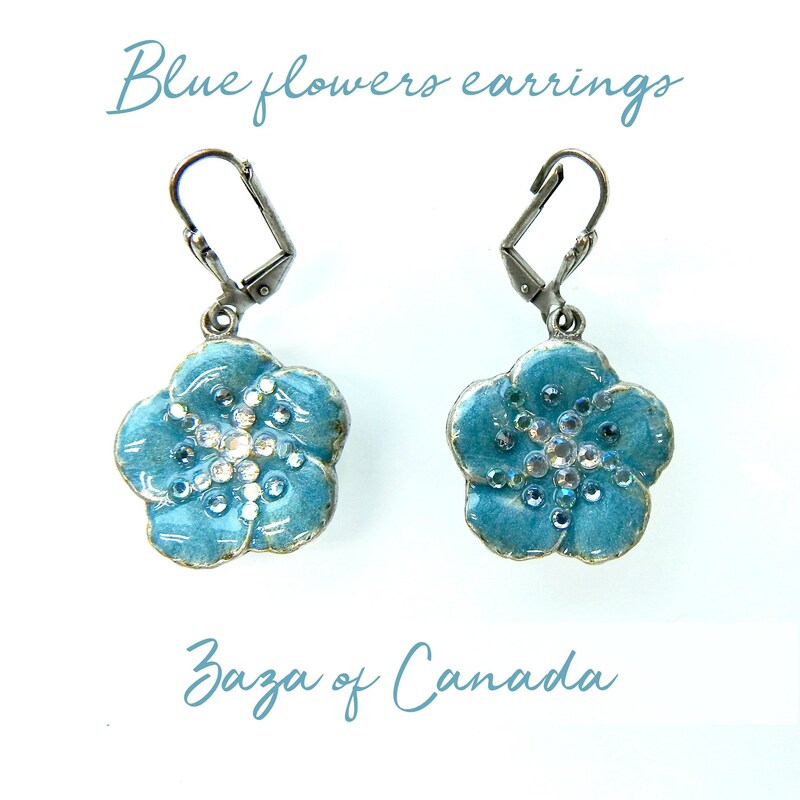 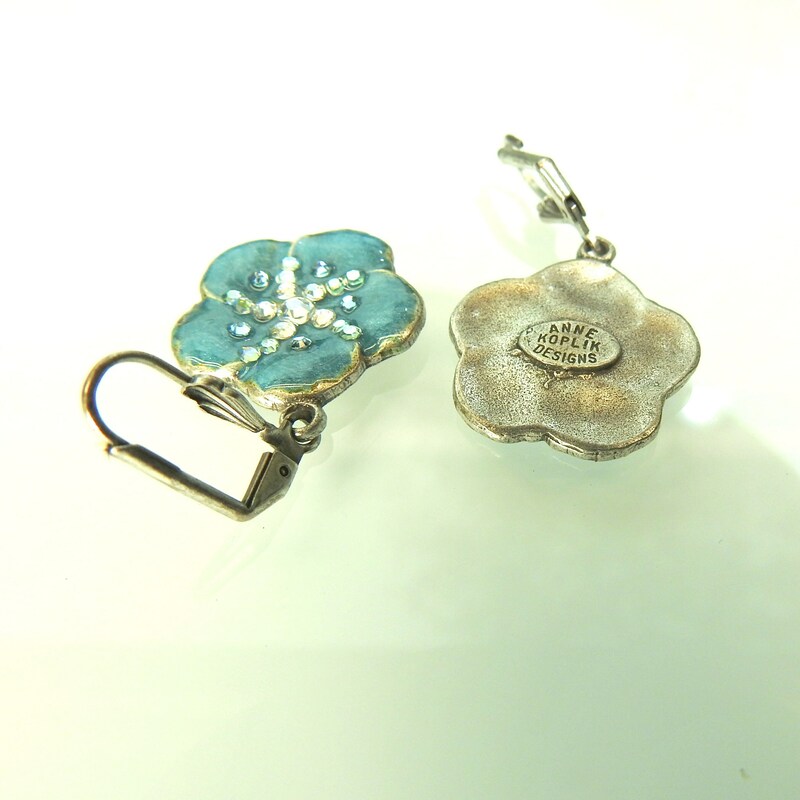 Meet your new favorite blue floral earrings for the summer! 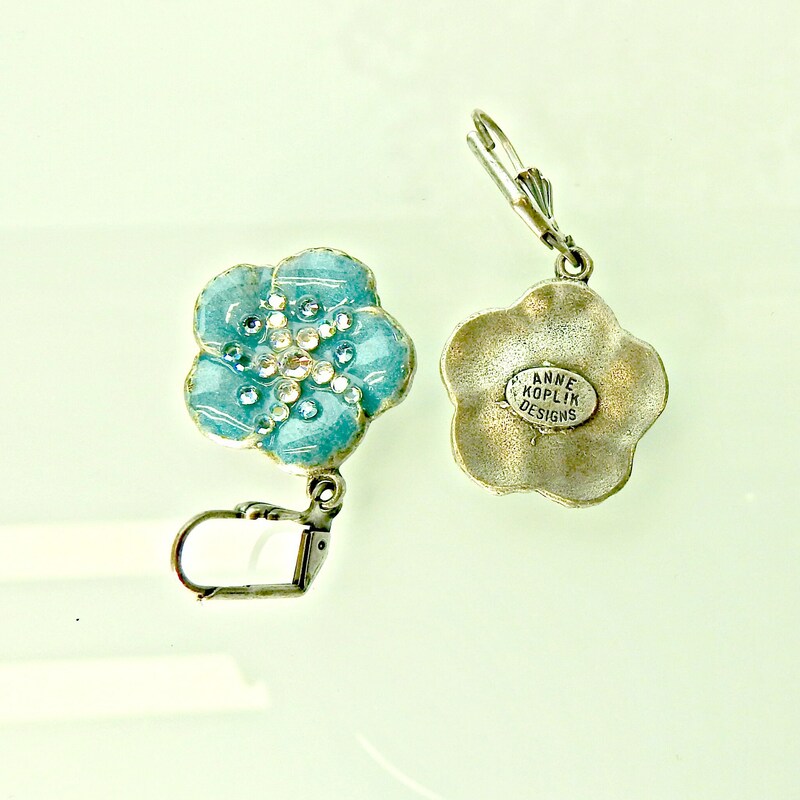 • Enamel with tiny rhinestones. 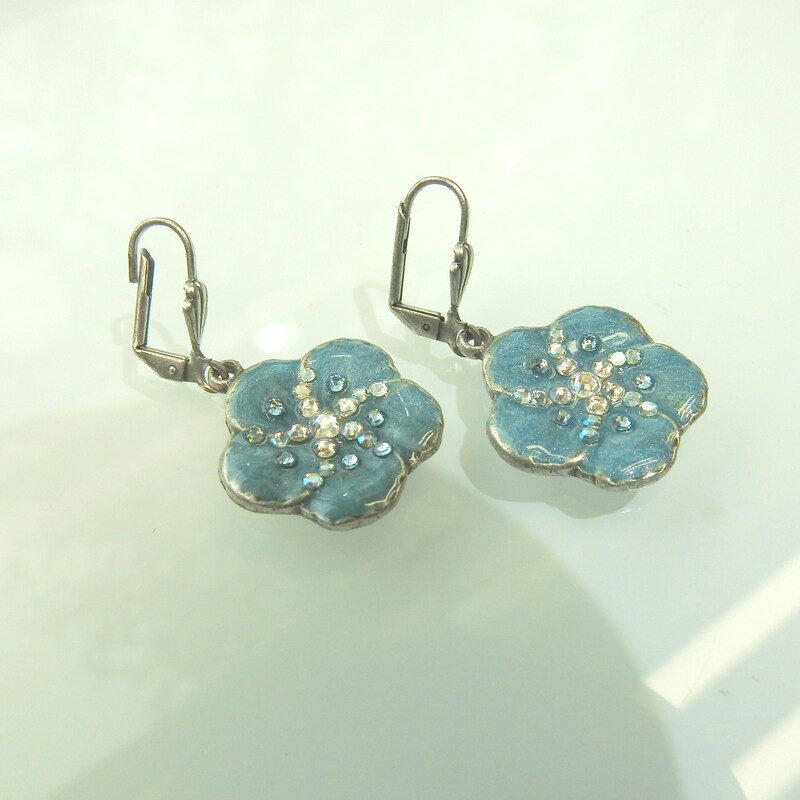 • Color: blue lavender earrings. 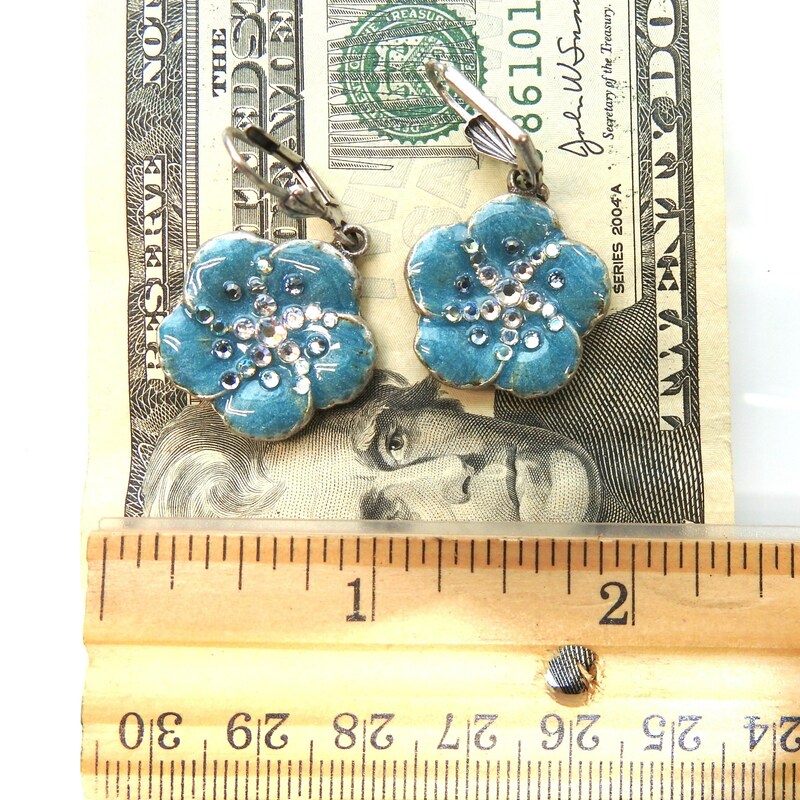 • 1 1/4'' - 4 cm long. 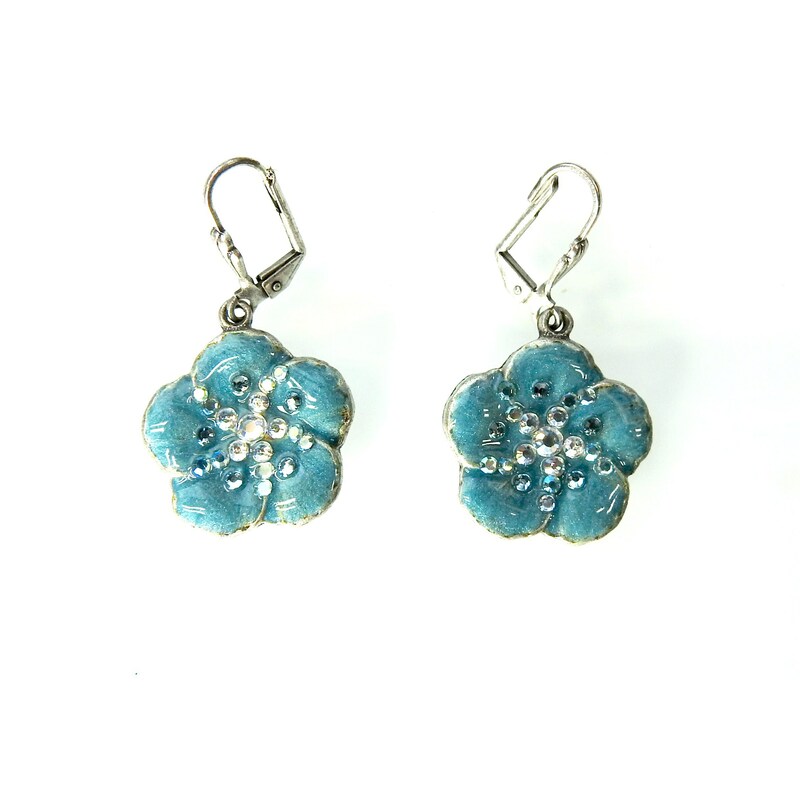 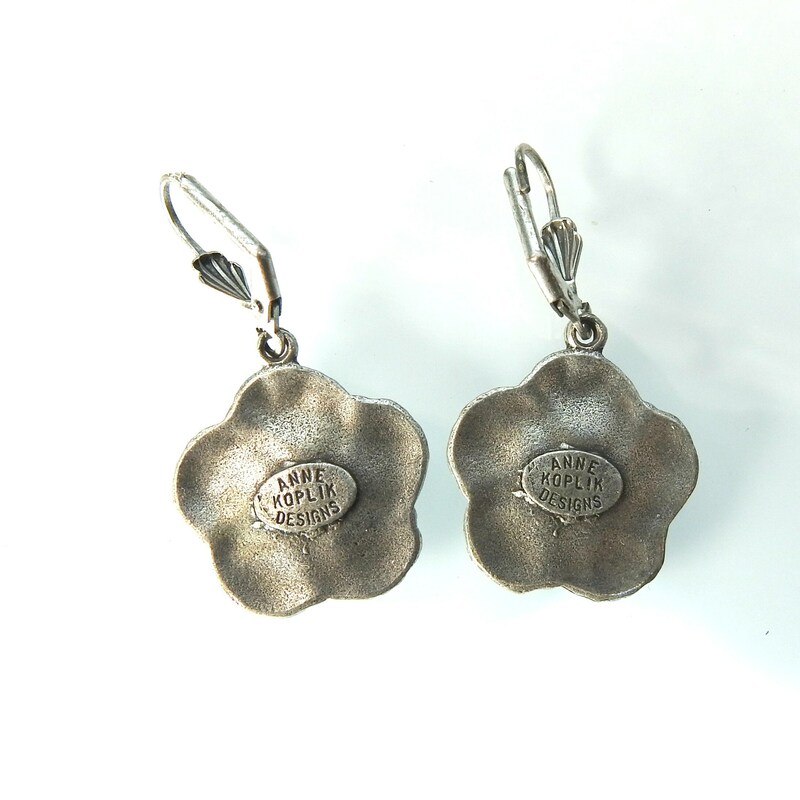 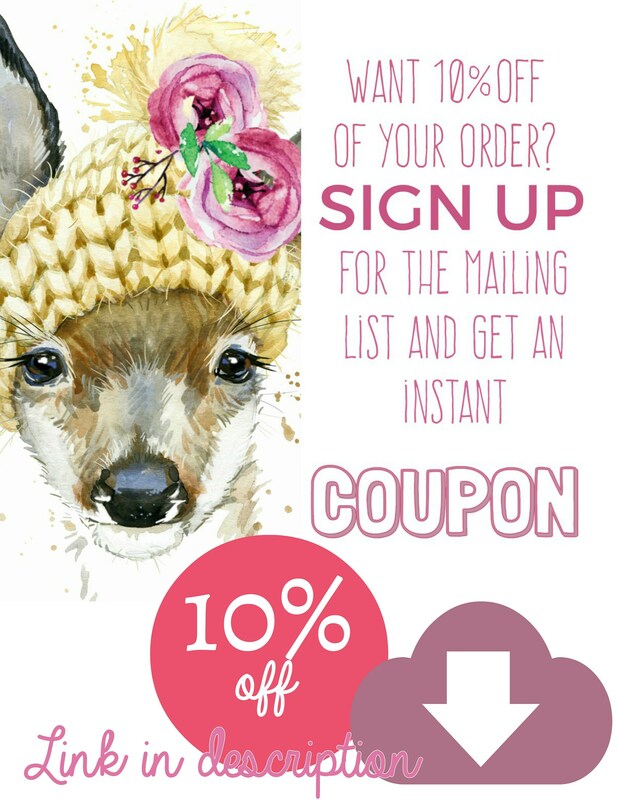 Thank you for exploring my boutique and these cute dainty flowery earrings.